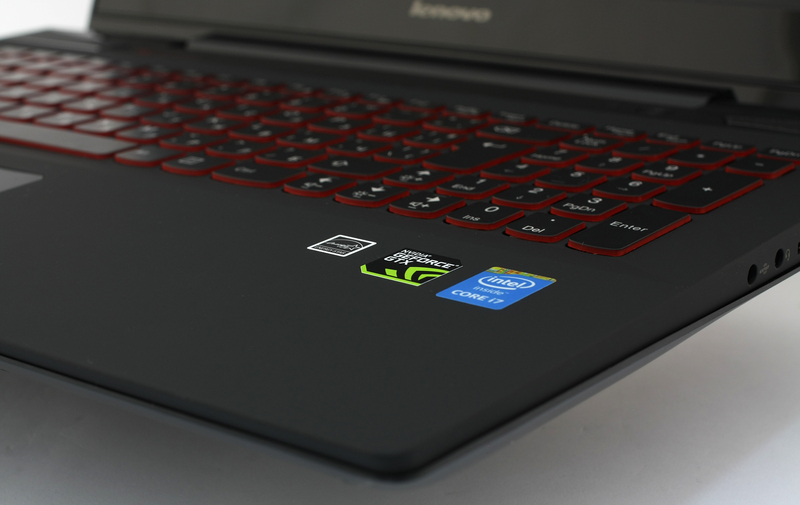 It has been almost a year since the launch of the new Y50 gaming notebook from Lenovo with its new design and now we have the updated model that’s packing the same hardware as the recently reviewed Acer Aspire VN7 Nitro Black Edition (GTX 960M). 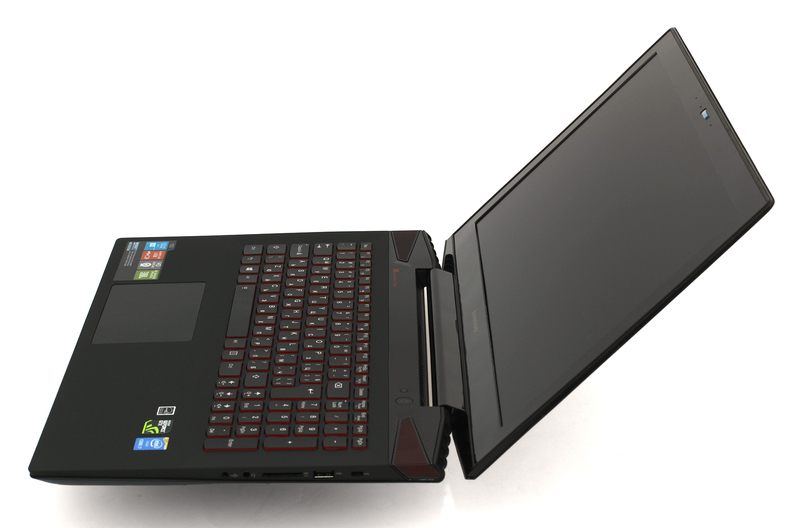 We can even say that Acer has launched its new line to tackle the Lenovo Y series gaming laptops. How does that turn out? You will find in the detailed review below. However, let’s have a few words about the new updated hardware and how it stacks up against last year’s model. For starters, the Y50 is a gorgeous notebook with compact design, despite its powerful internals, but that’s not what makes a gaming laptop good enough for flawless user experience. A lot of people expected quality IPS panel for the price, but Lenovo failed to deliver and instead put a TN panel, which is ridiculous given the price and the class of this gaming machine. The only IPS options were the ones with touch-capacitive displays and the 17-inch variants. That’s the main and the foremost reason that most people didn’t buy the Y50. Nevertheless, with this year’s updated models, we have IPS panel, better CPU (Intel Core i7-4720HQ) and the highly anticipated GeForce GTX 960M GPU. It’s good to see that the company has taken some notes and improved the setbacks of its product, but unfortunately they didn’t take it so far. Why? Scroll to the display section below and you will find out. The package containing the Y50 is a relatively big box with the usual stuff inside – user manuals, DVD containing all the drivers needed, AC charging cable and adapter, and, of course, the notebook itself. You will not be finding anything special in the box except an external optical drive, since the notebook doesn’t have one. The new Lenovo Y50 notebook keeps the same aggressive and appealing design signature as previous generations and even lowering the profile of the chassis. It has brushed aluminum cover on the lid and at the bottom. Inside you will find a soft-touch matte plastic, but more on that later. Actually, this is one of the best looking notebooks on the market, but as every product out there, this one has its own drawbacks. Let’s begin wit the lid. 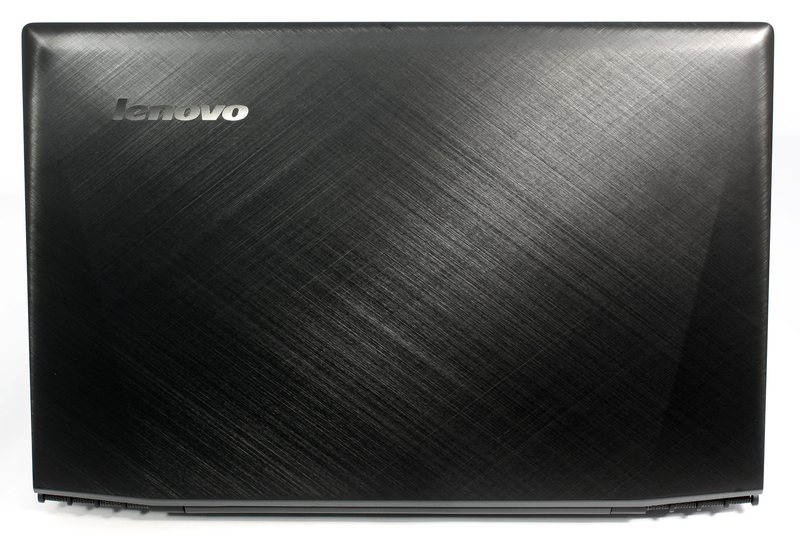 It’s made of black, brushed aluminum with two curves on the sides along with Lenovo’s engraved logo in the top left corner. The logo is also made of metal and it’s a little protruding. Unfortunately, though, it’s relatively easy to leave smudges on the surface, but they are easy to clean. Continuing with the bottom piece, where you will find the same aluminum cover with big vents for some additional cooling by an external cooling pad. Right beneath the grills is placed a little net that aims to hold some bigger particles from going inside the machine. You will also notice that the net becomes a bit “white” over time from the “collected dust”. Right next to the grills is the subwoofer, which is paired with the JBL branded loudspeakers. The sides, as we mentioned, are really thin and feature the same matte plastic that can be found in the interior. Just for the record, the Y50 is 24.5 mm thick which is quite impressive, while Acer Aspire VN7 Nitro Black Edition is a tad slimmer, measuring at 23.25 mm. The left side accommodates the DC charging port, HDMI, LAN and two USB 3.0 ports and that’s a really good port placement in our opinion. If you are using it with an external mouse in a small working place, the cables will not get in your way. On the other side, you will find one USB 2.0 port along with the SD card reader and two 3.5 mm jacks for an external microphone and headphones. At the front end of the chassis are located only the status LED lights. The back, however, is quite attractive as it features two stylish grills at each end, but unfortunately they are just for decoration and not part of the cooling system. 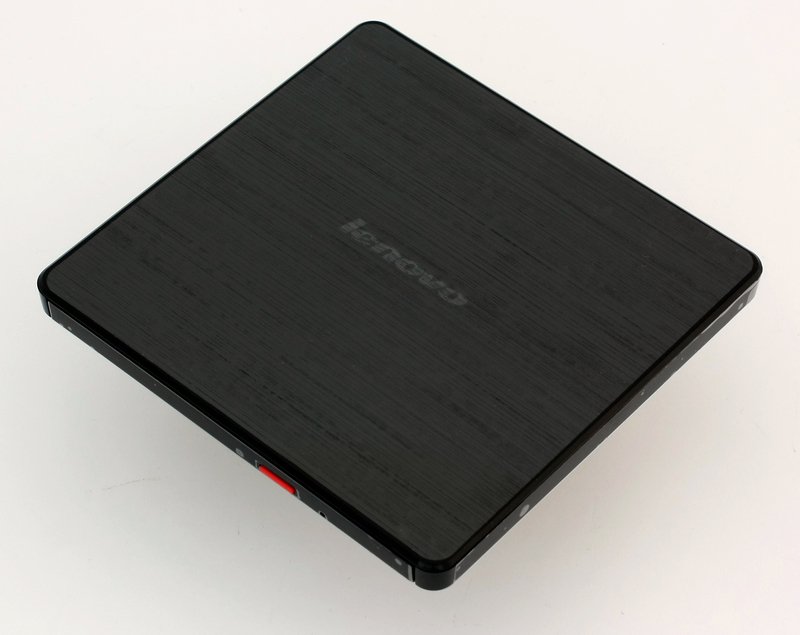 When we reviewed the 2014’s model, we weren’t very pleased with the cooling system and we still think that Lenovo could have used those grills for some extra airflow. So, just like last year, the main grill for dispersing the heat is located right in front of the hinge. Despite the fact that this is an aesthetic placement, it’s not very functional since it doesn’t give enough air for the machine to “breathe”. The interior of the chassis is just as appealing as the outside of the machine. We’ve got the red JBL branded loudspeakers next to the screen, which are distinguished with black glossy plastic as the rest of the interior is covered in matte, soft-touch plastic. Just like the exterior, this material attracts fingerprints and it’s easy to leave nasty smudges. Also, be aware that after a period of time, due to usage, the area where palms rest (around the touchpad) the material wears off and loses its properties. The keyboard is easy to work with when you adjust to the size of the keys, because some users with bigger fingers might find it a tad smaller than usual. The keys have enough travel for a good feedback, also easy to press, but not in the corners. If you are a fast typer be aware that you will end up missing some letters if you press the keys too lightly in the corner areas. It seems like the keyboard is more suitable for typing rather than gaming. 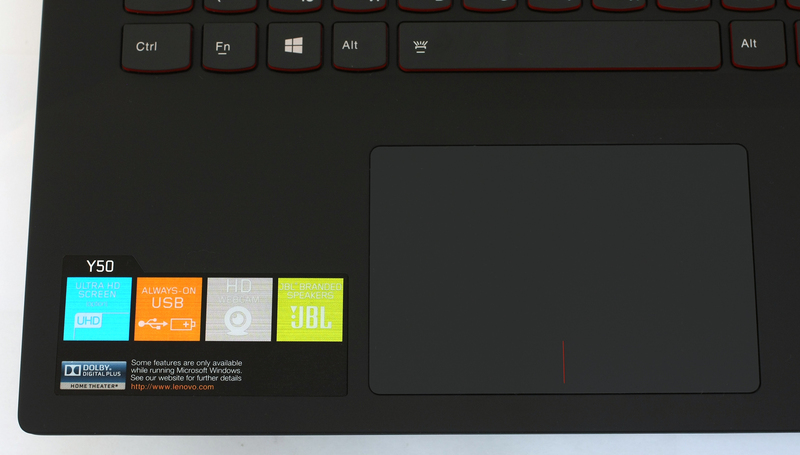 Also, typically for a gaming laptop, this one has its own LED backlight for the keyboard and… it’s red. A bit aggressive to the eyes when working in a dark room, but still really beautiful and most importantly – functional. The symbols are transparent and the edge of the keys are also letting some light to come out. With that being said, compared to the backlight of the Aspire VN7 Nitro Black Edition, Lenovo Y50 has the better solution. However, for a multimedia laptop like the Y50 is really important to have functional keys for play/pause/forward/backwards and this one doesn’t, while Acer’s notebook delivers this functionality. We can’t leave this section without few words about the touchpad. It’s a whole aluminum plate with integrated mouse buttons, which are a bit hard to press and also our general opinion on it is not so great. It’s responsive most of the time, the gestures work great, but the precision is a bit inconsistent. Sometimes the pointer was jiggling across the screen when touching the edges of the touchpad and precise pointing was a struggle. To sum things up, the Lenovo Y50 has a quality and premium chassis with great use of materials with the only setback for leaving smudges easily. The cooling system doesn’t seem to be very functional, but we will check that later in the “Temperatures” section. Maybe that’s the thing you will have to give up for a stylish and slimmed down powerhouse. The keyboard feels optimal for typing and not so for gaming, but at least it has a nifty backlight. Come to think of it, everything feels nice, except for the touchpad, which leaves a big room for improvement. Unfortunately, the internal hardware design isn’t changed compared to last year’s model. For a notebook with a price tag around €1100 you would expect various storage options like m.2 SATA or at least mSATA. For instance, the ASUS G771 has the option of m.2 SATA for a similar price. The Acer Aspire V15 Nitro Black Edition offers this as well. This can be considered as a major setback by many customers. Let’s also have a quick look at the design of the cooling system. The CPU and GPU are really close together, while both fans are placed apart and concentrating the airflow at only one place. This can be considered as quite ineffective and you can see why in the “Temperatures” section. Lenovo Y50’s display has a Full HD AH-IPS panel with matte surface. 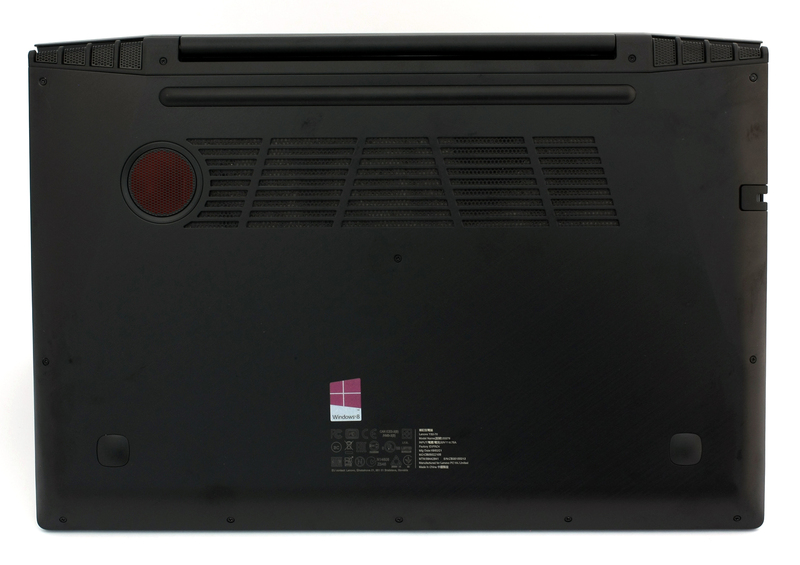 The manufacturer is LG with model number LP156WF4-SPL1 with diagonal of 15.6″ and a resolution of 1920×1080 pixels. The aspect ratio is 16:9 and the pixel density is 141 PPI with space between each pixel – 0.18 x 0.18 mm. Here are the viewing angles under 45°. The maximum recorded brightness is 235 cd/m2 with a maximum deviation of 13% (quite acceptable). The color temperature is 6482K and almost aligns perfectly with the optimal one of 6500K (D65). The Lenovo Y50’s (GTX 960M) display covers 64% of the sRGB and 48% of the Adobe RGB color gamut. You will be missing a significant part of the WEB-based colors (sRGB). The gamma’s deviation is neglectable and only dark parts of the image will appear a bit dim. We’ve calibrated the display at 200 cd/m2 in order to reach optimal color temperature of 6500K. After calibration, the average deviation of DeltaE is 1.47. Before any calibration was done we checked the color reproduction of the display. And these are the results after the calibration. The panel of the model emits pulsating light using PWM (pulse-width modulation), but the frequency of the emitted light is 21.6 kHz, which is less harmful to the eyes. This time around, Lenovo used much more suitable for gaming panel that has good viewing angles, fairly good contrast and good color reproduction. However, the panel lacks a big part of the sRGB and Adobe RGB color gamuts. 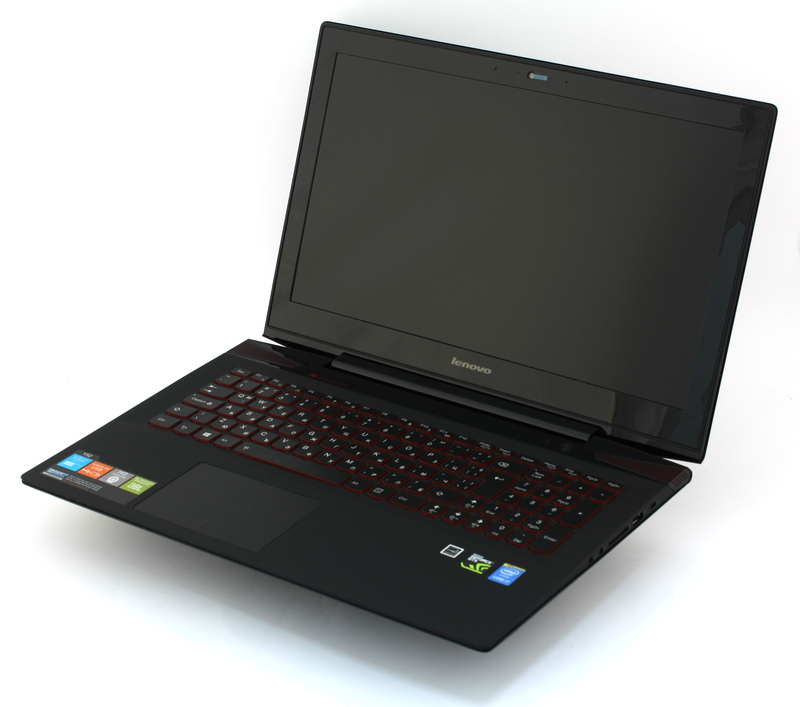 While this is an improvement over last year’s model, we still think that Lenovo could have done better in this aspect. As we expected, the sound quality of the Y50 is nearly perfect. It supports a big range of frequencies +/-3 dB – more information can be found on the graph below. 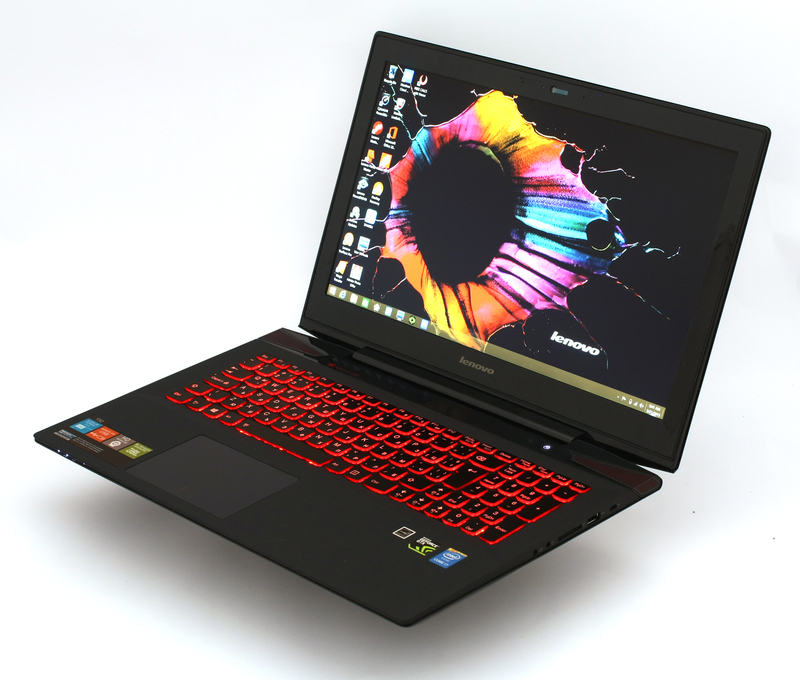 Of course, we cannot expect much from a gaming notebook, mainly because of the power-hungry Core i7-4720HQ CPU and discrete GTX 960M GPU that can drain a lot of battery when you are in a need of an extra power. This model is equipped with relatively small 4-cell 54Wh battery – just like last year’s model. However, we can expect a bit lower battery performance since 2014’s model has a TN energy-efficient panel and this one has a more power-hungry IPS panel. Just to be sure, we ran the usual test like Internet surfing, watching a movie and gaming. All test share the same conditions – Wi-Fi turned on, Bluetooth is off, power saver is on and screen brightness is set to 120 cd/m2. Quite typical result for a gaming notebook – 200 minutes (3 hours and 20 minutes), but still a bit lower than most gaming notebooks on the market. Another unsatisfying result – 181 minutes (3 hours and 1 minute). It’s quite unlikely that you’ll use the notebook for gaming without a power source, but just for comparison reasons the result is 102 minutes (1 hour and 42 minutes). This CPU, as every high and mid-range CPU from Intel, supports the so-called HyperThreading technology, that emulates one virtual core for each physical one. So we have 4 cores with maximum of 8 running threads at the same time. It supports dual memory channel of DDR3(L) 1333/1600MHz and up to 32GB. The chip also integrates the Intel HD Graphic 4600 that has a base clock of 400 and Turbo Boost up to 1200MHz with 20 EU (Execution Units). The maximum TDP of the whole chip is 47W which makes it more suitable for 15-inch laptops or bigger, which are mainly for gaming. 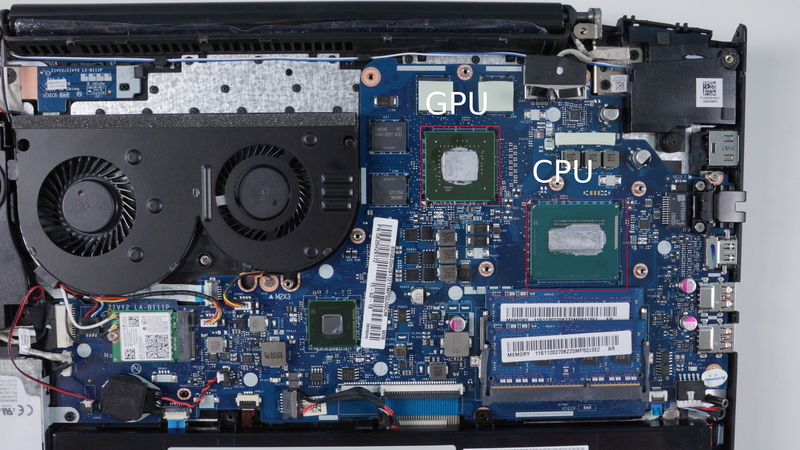 Here you can see an approximate comparison between the CPUs that can be found in the Lenovo Y50 models on the market. This way you can decide for yourself which Lenovo Y50 model is the best bang for your buck. Fritz is a chess benchmark which tests the computing capabilities of the CPU with various chess moves. The Intel Core i7-4720HQ managed to get 10.488 million moves per second. For comparison, one of the most powerful PCs, Deep(er) Blue, was able to squeeze out 200 million moves per second. In 1997 Deep(er) Blue even beat the famous Garry Kasparov with 3.5 to 2.5. Here you can see an approximate comparison between the GPUs that can be found in the Lenovo Y50 models on the market. 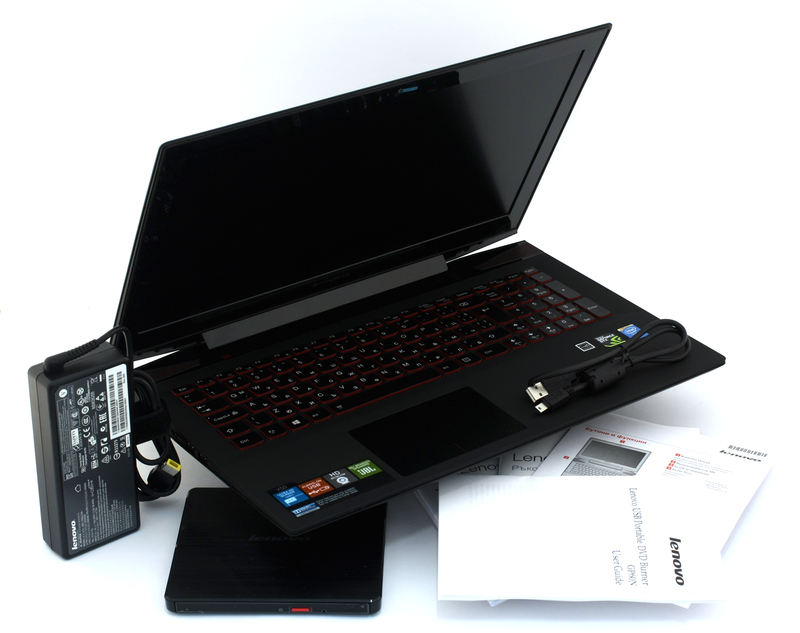 This way you can decide for yourself which Lenovo Y50 model is the best bang for your buck. NVIDIA still hasn’t released official drivers for the GTX 960M and we’ve ran the test with the drivers provided in the DVD – 345.05, but we are certain that the average FPS will increase with the new drivers for the GPU. Until then, stay tuned and we will update the review accordingly. In this part of the review, we put every single notebook through series of torture test, so we can check the stability of the system in the long run. 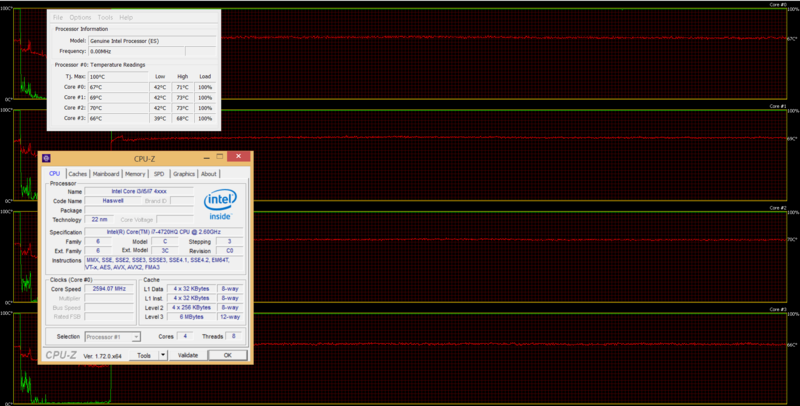 We start with a stress test for the CPU with a load of 100% and leaving the machine for about an hour. At normal state, the CPU runs at around 40-42°C and can go up to 72-73°C, which is relatively cool. Also, the CPU didn’t go below its base operating frequency – 2.6GHz. You can see the results on the diagram below – the red line represents the temperature, while the green one represents the load of the CPU. After an hour, we’ve switched on the GPU stress test to see if the temperature of the CPU will rise or in other words – does the CPU and GPU share heat. Well, the temperatures rose immediately (87-90°C), but that’s still far away from the maximum operating temperature of 100°C. Most importantly, we didn’t notice any throttling, while last year’s model with Core i7-4710HQ was throttling the minute we switched on the GPU stress test. As for the GPU itself, the temperatures remained safe – 80°C. You can see how the inner temperature affects the exterior. Keep in mind that these conditions are almost impossible to reproduce in real-life conditions. It’s quite unlikely that you’ll be able to put 100% load on the CPU and the GPU. We conduct these test to check the overall stability of the system. As you can see from the heat map below, the top of the interior can reach really high temperatures (50.6°C) and even the center of the keyboard is a bit hot (49.4°C). This is due to the placement of the main grill for dispersing the heat. The hot air that comes out of the vents bounces off the hinge of the lid and you can easily feel the hot air above the center and the top of the keyboard. However, the bottom part where palms rest remain cool throughout the whole time. So if you are planning on using the notebook for a long gaming sessions, you might want to use an external keyboard or just use a cooling pad. The last one will greatly reduce the heat of the machine and we recommend searching for a cooling pad with at least 70 CFM airflow. We were pleased with the overall design of the machine giving a distinctive look, premium materials while maintaining low weight (2.4 kg) and slim profile (24.5 mm). However, this notebook has its own drawbacks like leaving easily smudges on the exterior and interior, the keyboard is lacking multimedia buttons and the touchpad design isn’t all that great. 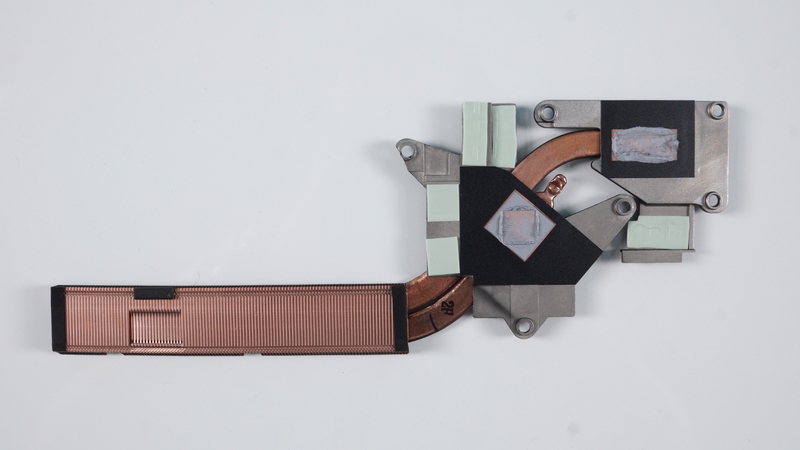 The cooling system is made with style, but fails to deliver the needed airflow for keeping the internals cool. You will easily notice the heat on the top side of the keyboard and we strongly recommend using an external cooling pad with airflow above 60 or 70 CFM. This will have a huge impact on the user experience. Now it’s time to address the issues that has been fixed over last year’s model. The new IPS panel is way better than 2014’s TN display, but still doesn’t impress us as much, especially for the price. The new IPS panel has better contrast, excellent viewing angles, but poor color gamut coverage and this is an essential part of every gaming and multimedia notebook. Still, for the price you get one hell of a beast with GTX 960M and Intel Core i7-4720HQ. Also, the sound quality is just great – supports low and high frequency and thanks to the subwoofer, music sounds richer. 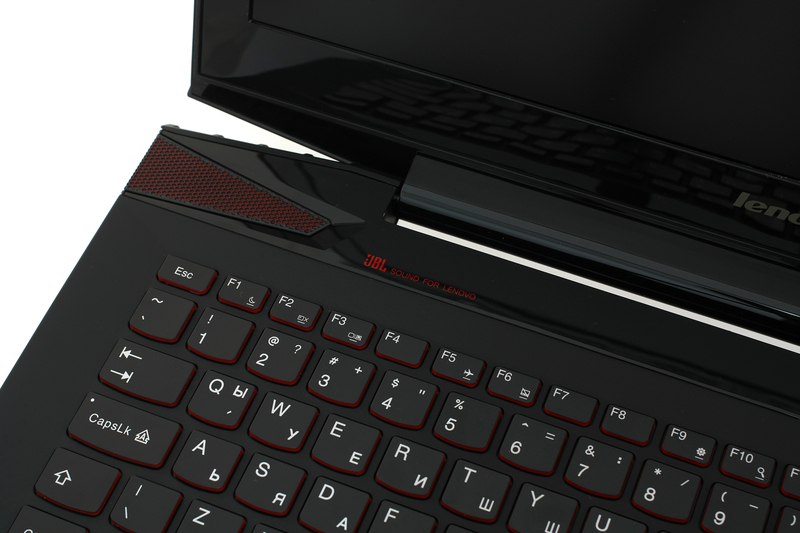 Despite it’s flaws, the cons are a lot more and if you are looking for a compact, yet powerful gaming machine – the Y50 might be the best choice for you. 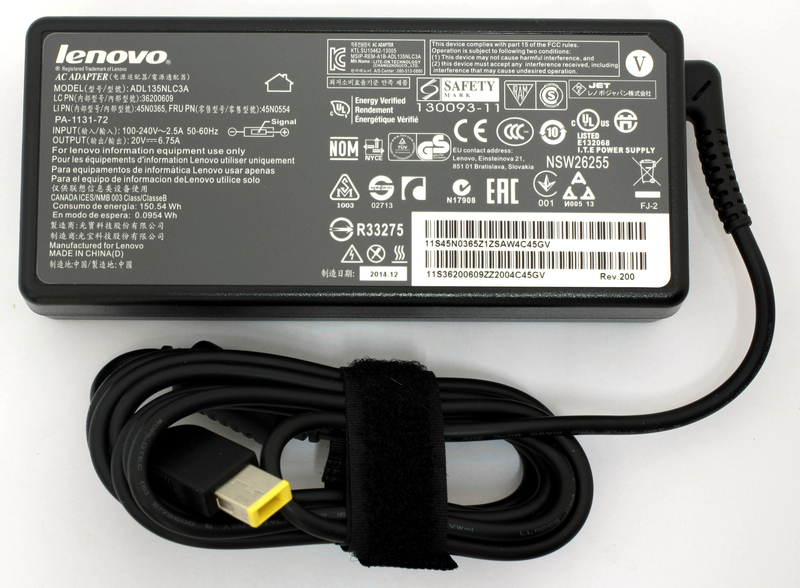 I bought lenovo y50-70 59-445565. The laptop has a slim profile and IPS display and sound is excellent. If you play music, this laptop is awesome. 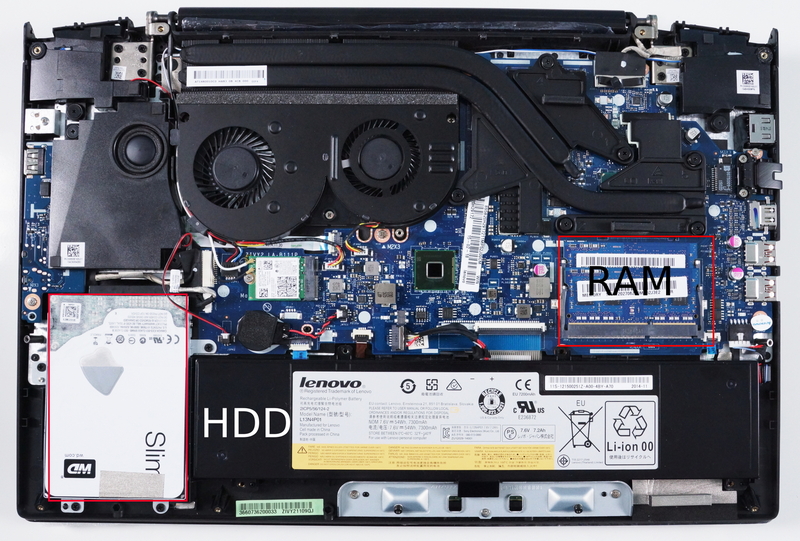 The laptop have intelligent power coservation system that will make the battery idle when external power is connected. This will keep the battery from neither charging nor discharging. I’m sure you will not need to replace the battery for 5 years. Hi, I bought this laptop a while back and really like it, except for the yellow color issue. And the screen hinge issue that so many people have encountered 🙁 left side is broken after 3 months normale use. Oh well… I thought that I would try to give a go to Laptopmedia’s display profiles, but there doesnt seem to be any for this model on your Display Profile page. Would it be possible to add the display profiles?